Sometimes extraordinary things lay hidden in the most ordinary places. This novel had great dialogue. Unfortunately most of my favorite quotes from it contain too many spoilers to share in this review due to the points in the plot when they occur. I was especially entertained by how Ms. Stucky reworked common expressions into places or ideas that made me grin, though, and I never grew tired of seeing what she might come up with next. It’s rare for stories written for this age group to include subplots about characters being in relationships or having crushes on one another. While there was nothing inappropriate about that storyline, I was surprised when it showed up because everything else in the plot seemed to be specifically written for middle grade readers. The romance could have easily been cut out. If it had, I would have been comfortable choosing a higher rating. What would it be like to visit other planets? As someone who has often wondered about this, I was intrigued by all of the places that these characters see. Earth is unique in many different ways. It was nice to see this subtly acknowledged before the author went on to show the amazing range of possibilities.I would have liked to visit (almost) all of them. The pacing of this book was sometimes uneven. Very exciting things would happen, but then the plot would slow down to add exposition or share a joke. While I was amused by these things, I also wished that I could know what happened to the characters more quickly. Often these pauses took place at exactly the same time when I was most interested in seeing how everyone would get out of their latest scrape. It was a little disconcerting. A good antagonist makes a big difference. It took a while for the villain in this tale to show up, but I enjoyed the suspense of it all along the way. There were a few hints about Emma and Charlie were up against along the way. The big reveal was still fun, though, and it made me curious to see what might happen in the sequel. 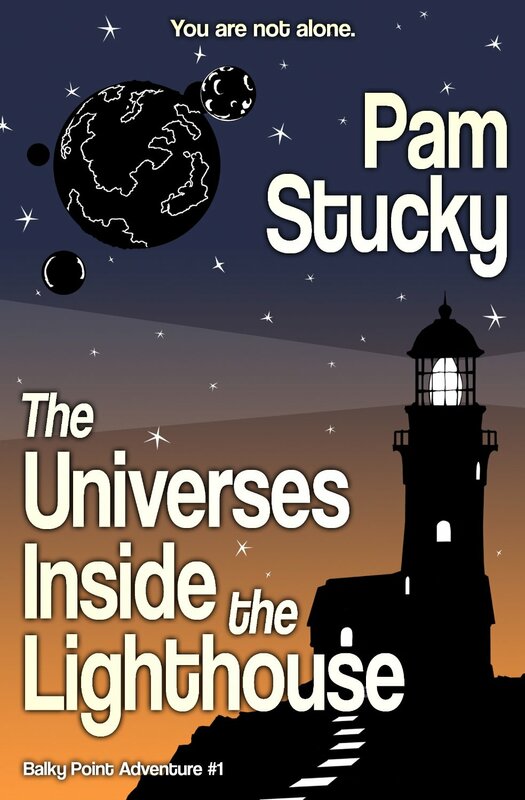 I’d recommend The Universes Inside the Lighthouse to anyone who is a fan of zany science fiction.